Starter Kits, Everything You Need To Make It Now! | Smooth-On, Inc.
Everything You Need To Make It Now! These starter kits are a bargain - less expensive than buying products individually - and offer a great way to learn the basics of different moldmaking, casting, lifecasting, and skin effect processes. Step by step instructions are included in each kit. If you take your time and follow directions, you'll be on your way to a new dimension of fun and creativity. High-strength alpha hemi-hydrate gypsum with water based polymer chemistry reinforced with “E” glass fiber. 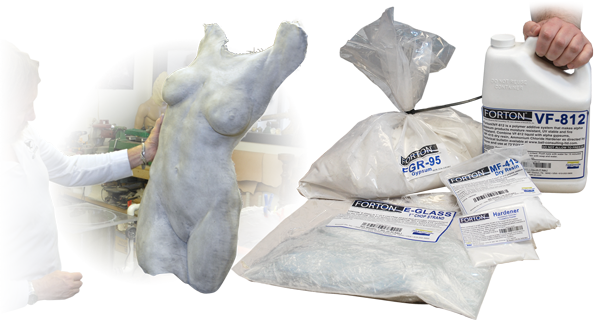 Follow this simple step-by-step lifecasting guide, and you will have a perfect lifecasting which will 'freeze time'. Mold box construction, model preparation and release agent application for a 2 part pour on mold are covered in this video.